A selection of illustrated maps commissioned by a variety of clients. One of a series of maps commissioned by Malaysia inflight magazine Going Places. Each issue features a different city with aim to represent the essence of each city with the use of text labels. A map of Amsterdam commissioned for the first issue of Soho House’s magazine, House Notes. An illustrated map for the newly developed Woodberry Wetlands in North London. The illustrated map folds out from a leaflet highlighting outdoor activities in the area. An illustrated map of Kalovy Vary commissioned by Global Blue for SHOP magazine. I was commissioned by GQ to produce an illustrated map of Carnaby Street, London for their annual festivals. 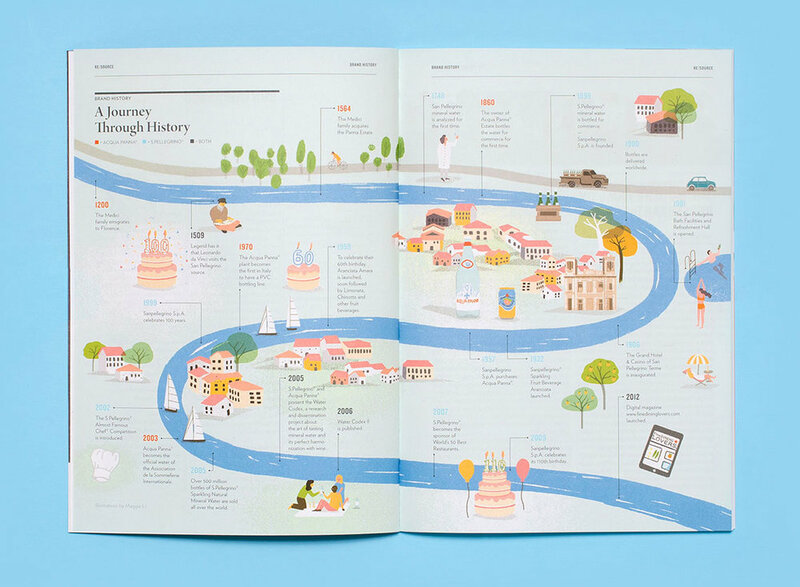 Map commissioned to chronicle the history of drinks brand San Pellegrino.